Its not just the change in ‘Logo’ – it has more to it! Recently Google changed its logo, and well like anyone else I also loved it. I went over quite a few article and also watched the video which talked about Google transition from ‘Blue lines’ to this new ‘Serif “Free” Logo’!Wait a second…”Serif Free”? What does Google and its new logo has to do with it…actually a lot! 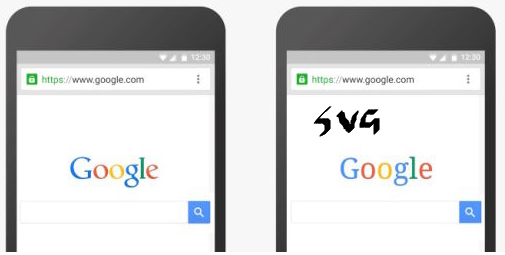 If you are using a low-bandwidth connections you would see not the image version of the logo but a close text approximation which is created using SVG (Scalable Vector Graphic), Actually SVG is the best file format, and more and more logos are now appearing using SVG. In the above image the one marked as SVG is for low bandwidth! 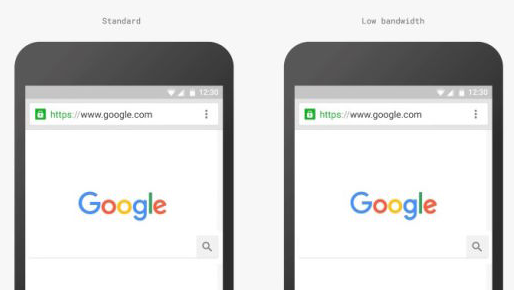 The new design allowed Google to optimize the assets for its size and latency. This new logo actually is of only 305 bytes where as compare it with older one – 14,000 bytes! Now this is the reason why Google for slow internet connections served a text version of the logo. This is amazing thinking! So Google actually got rid of Serifs. Serif actualy has tiny decorative lines attached to the edges of many of the letters which help your eyes with readability when you’ve got a lot of text. But serifs are not as useful on text that needs to be shown at many different sizes, like: Logos! They also don’t scale; if you ever happen to see the ‘g’ fav icon; you would easily resemble it to 8; the more you shrink ‘Serif’ the more spindly letterforms start to disappear, and when it’s really tiny, it’s essentially useless. How do I segment my audience? I never understand what segments are? How do you keep someone inside the segment, and someone outside of it? The harder it is to measure something the better it is in understanding the audience. In our previous post we talked about understanding audience by targeting them, and creating personas! Organization talks about Geographical measurements (Where they live which block etc., or demographic (How old they are, how many children do they have etc). But these are weak measures of segmentation, since ultimately two 28 yrs old may look strikingly similar but will have absolutely different needs! It’s time we start thinking about something like psychography; Who they are, what they need; segmenting based on those needs, values, and the motivation to consume information is important for organization. 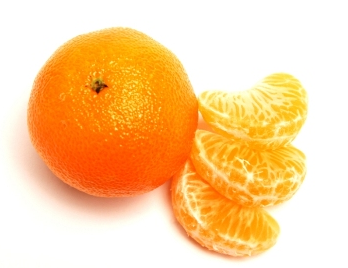 The more difficult it is to measure a segment the more successful it will be to segment a market. They use Day parts, they study that what people do in the morning to what people do in the night is something different, and they were different over the weekend…but this is one part, if you keep Demo and Geo at one end and Psycho graphic at the other end…you then need to understand what is happening in someone’s life in the morning, compared to what is happening in the afternoon…it is different. Experience a user has makes a lot of difference; how? There have been instances where women creates time out experience…especially when they are raising kids, and or working…especially in the evening when they can curl up a cup of coffee…and now let’s say an iPad and consume material, so what your organization is doing to provide some kind of time out experience? It is not created by you throwing the information at them, it’s going to be a soft touch that really understands that moment in a woman’s day! What kind of information she is looking for, and make her life more interesting! Idea of story first and content flowing from it is a brilliant one. 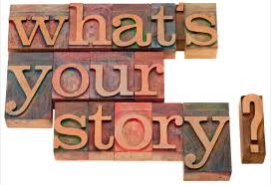 Narrative story telling is a huge hit, story illuminates thing for people…but at different levels. Some appreciate visual content in the story, some appreciate stories to be made available for them in chunks…some appreciate telling stories through words; that is where target audience come in picture, and that is where you have to understand the importance of target’s definition of story telling…so that your company can achieve a successful relationship! In this post and in the previous one, we learnt about how we can define and understand our audience, be it story telling, creating personas, or targeting by knowing their behavior; one aspect is common in all these approaches; You have to understand your audience by being the ‘Audience’. In our upcoming posts we will talk more about relationship between organization’s brand and its content! Till than happy reading! 2013 has been an aggressive, fast paced, innovative and a year of Collaboration! 2014 seems to be taking a cue from it and moving on a rapid path of exciting Enterprise Social Media; Cloud, and mobility. Talking about the various trends which we may see in 2014; here is my list of few trends which we may see in coming year! 2014 set to see a major revamp in the way marketing is done. Brands need to act more as publishers; grabbing the attention of customers will become more and more tricky and good content for sure is going to be one way of doing so… This communication should educate consumer about the brand, and its strategy. Today consumer interacts online with brand, they read the content, they read articles, content that appeals to them, which educates brands on the type of content that is relevant and important to their prospects. These insights can provide valuable input for brands to device their strategy and communication! We have data, and then we have huge data…and now we have BIG DATA! Lots of news around this, and this for sure will continue to exist for major part of 2014.It is estimated that the volume of data produced is expected to be ~44 times greater in 2020 than it was in 2009. Phew! That’s massive…. Let’s understand why this is important: First thing to realize is: From where this data is coming? This data is coming from? Data that we are talking about is from all corners, be it customer feedback, the way they interact with your product / services; what your competitors are doing, how are the y doing; and where you stand in all this… This is huge data, and with this come problems of doing a comprehensive analysis of customer preferences, transaction backgrounds, online interactions; analysis of competitor moves, and their strategy etc. Data Analytic, and various tools which are provided in the field, are there to stay and in fact will continue to improve! Data will be analyzed by marketers and use the insights from big data to measure and impact customer engagement, customer retention and loyalty, and marketing optimization/performance. Images: We Love them...so we love Instagram! We all love to communicate, and primarily the mode of communication has been words…but 2014 will be a change…2014 will witness communication happening around Images… It’s a fact that posts with images get more responses, likes, comments and shares. Users surely want to communicate by showing rather than telling. The 140 characters; will face a bigger challenge from images…and hence I feel images are going to rule; and rule in big sense! I don’t know about you, but I for sure am not in a position to afford a Porsche anytime soon. The company also Understand this and think similar for about a significant percentage of their fans. So here’s an idea, why don’t you let them help design the ultimate fan car? Well; they did come up with this brilliant idea of crowdsourcing this deal! “The campaign started on Feb. 4 with Porsche asking “the best expert panel in the world: our fans” to choose an exterior color. The post resulted in nearly 16,000 likes and 1,200 comments, with Aquablue Metallic winning the most fan support. How to design a great product which delivers Wow! Great Products are a result of a design process which understands that users should get two essential values out of a product. 2. A utilitarian value (“A mobile phone…wow, now I can call my friends from anywhere!”). These are linked so closely with each other that you just can’t have one, without having at least ‘One’ other one! The product looks good, is “fun” to interact with, has smooth transition, a “clean” layout, is symmetrical, feels “professional”, and has a “cool” factor associated with it, etc. It just does things I really value. For example, I value that I can scan my laptop for viruses, though I find it extremely hard how to do so, but I do value that I can do this! The way functionality is delivered. Is it effective, efficient, satisfying, and simple? Majority of the IT companies, and now even the mobile companies focus on the utilitarian value of a product, and the functionality of the product. They are forced to sneak in as many ‘Functionality Feature’ in a release as they can; since this is the way ‘Success’ is measured for them. Apple never re-invented the features of a Phone! They just made the experience beautiful! On the other hand Samsung did the opposite…adding features [primarily of very less usage] will give them success in short run…but the way experience is delivered – it’s a Steve Baby! I mean its tough for companies too, cut throat competition, a mindset, which puts more emphasis on ‘Features’ and less on ‘Experience’; the companies are forced to follow the path! Expertise – Have in house expertise, or call upon Expert! Techniques – Use Appropriate techniques! Leadership and Culture – Appreciate value of UX from business point of view! Perspective – Apply principles and process in the broad perspective! Which companies are the main competitors in the GRC (governance, risk, and compliance) software industry and what are their respective strengths and weaknesses? Is there any way to reset my Facebook personal upload email address? Click Send my upload email to me now under Upload via Email. Pick an email address you access from the device you want to use to upload under Email Address:. Open the email from "Facebook " with the Subject "Facebook Upload Email". Copy the email address from the message text. Save it to your address book under "Facebook Upload", for example. You may also be able to add the address to your contacts using the attached vCard file. Select Find out more under Upload via Email. Now follow the refresh your upload email link under Tip. So, what next…well lot of things still left in requirement development, and I guess you are enjoying every bit of this. How are Operational concepts and scenarios developed and maintained? This would mean: During the requirement development phase, you should come up with various scenarios, all these scenarios should be augmented with quality attributes. A scenario is typically a sequence of events that may occur during the use of the product or project, which is used to make needs of the stakeholders as ‘Explicit’. An operational concept for a product usually depends on both the design solution and the scenario. You need to have FSD (‘Functional Specification Document’) at this stage. How you define the functional requirements? Definition of functionality, which is also referred to as “functional analysis,” is the description of what the product is intended to do. In simple terms what do you mean by Functional analysis, which will term as the “Required” functionality of the project / product. The definition of functionality can include the actions, sequence of those actions, inputs required for those actions, outputs, or other information that communicates the manner in which the product will be used. How do you analyze whether the requirements are necessary and sufficient? At this stage we analyze the requirement. We look at the design and talk about feasibility from requirement perspective, or which requirement affects feasibility. You need to have Requirement Defect Report at this stage, supported by peer reviews comments, proposed requirement changes which will eventually have a change log. How do you analyze whether the requirements balances the user needs and constraints? Make sure you’ve result of all the conversation, and proof of records showing analysis and negotiations of tradeoffs between requirement, cost, and schedule etc. How do you validate the requirement that your product will meet the user’s needs? Requirements validation is performed early in the development effort with end users to gain confidence that the requirements are capable of guiding a development that results in successful final validation. At this stage be ready with Design docs, Simulators, Analysis etc.